definitely worth the money. However, you can not pick up the Frankfurt Card at the airport. You need to ride the train to downtown station to pick up the card at the window. 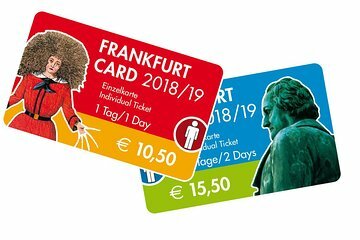 You don't need to purchase train ticket to get there, you just need to show the conductor the receipt of purchasing the Frankfurt Card. We wasted a lot of time waiting in line at the airport which was unnecessary.